We are actively recruiting HVAC professionals to join the W. G. Speeks team as full-time HVAC Maintenance Technicians and HVAC Installer/Technicians. Job descriptions are provided below. If you are interested, please click here to fill out an online application or download and submit the W. G. Speeks Employment Application (Word Doc | PDF) to vclark@wgspeeks.com. One of Central Virginia’s top HVAC companies, W.G. Speeks, is now hiring with immediate openings for Maintenance Techs to join the WG Speeks family. Must have good DMV record. W.G.Speeks offers competitive pay and great benefits! Apply today to work with W.G. 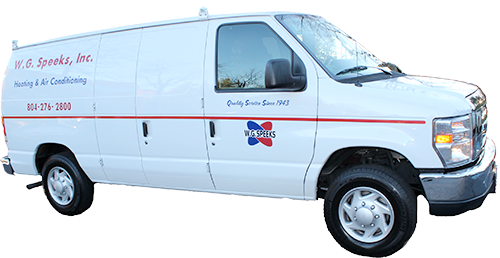 Speeks, one of the area’s most respected HVAC companies, now celebrating 75 years of service in the Richmond Metro area. One of Central Virginia’s top HVAC companies, W.G. Speeks, is now hiring with immediate openings for Change Out Mechanics and Service Technicians to join the WG Speeks family.